Meghan and I had a great time creating food that Hayley and Mike could have ready to go after their adorable little baby girl Sloan arrived! 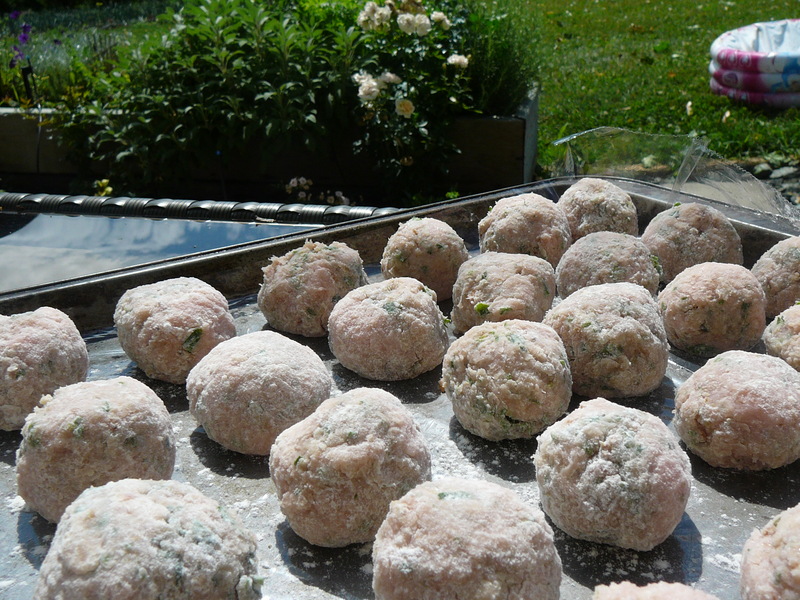 Combine all ingredients and blend well (your hands are the best possible tool), then roll into balls. Toss lightly in flour and set on baking sheet. Allow to freeze individually and then put all of them in a freezer container or ziplock bag – label it!